Modern tendencies of globalization have made great impact on the development of political elites, increasing the necessity of participation democracy. In the process of democratic transition in the Republic of Armenia (RA) the activities of the political elites are two-layered: thinking (intellectual strategy) and execution (administrative bureaucracy). A democratic transition considers shift to a more democratic political regime. It may be the transition from an authoritarian regime to a partial democracy, the transition from authoritarianism to a full democracy or the transition from a semi-authoritarian political system to a democratic consolidation. During the process of democratization the political nets play an important role and they are decisive on the outcomes of the process. Political nets can manipulate markets which may lead to the subordination of the rights of the citizens. The main aim of the article is to reveal the problems of improving the quality of elites based on the R.Dahl`s theory of poliarchy. The issue is topical as in the process of democratic transit elites generally show more than Machiavellian approaches towards the implementation of power. This is the reason why democratic transit slow down leading to crises of political development. The problem is topical also for Armenia as the consequences of implementing nowadays reforms are deeply dependent on the quality and essence of elites. The point is that not only political ones, but also economic, military, strategic elites should participate in the process of reform planning and implementation. This will allow overcoming crises of political development reducing monopolization and over-profits. The article consists of introduction, where the author proves the topicality of this topic, the main part, methodology, discussion of the main results, conclusions and recommendations. The author based her research on wide range of methodological approaches. First of all systematic method was used. The point is that effective functioning of political elite demands comprehensive observation of interconnections between economic, mediocratic, military and strategic elites. At the same time the author performed stakeholders analysis based on local and global developments. Democratic transition as a political process in Armenia led to the wide mosaic of political interactions. The latter is based on interrelations of «elite — masses» and political institutions. The roles and functions of elites are dictated by the cultural-value system, traditions, religious belief, social interests, and the like. The aforementioned variables suggest a certain interpretation of political roles and functions that are different considerably from those adopted in the developed democratic countries. As a result, the speed of social transformations, mechanical identification, and the mobility of social institutes are high Armenia. These did not only speed up social interrelations among various groups, communities, and individuals, but increased spontaneity and gave rise to conflicts in development. All these present the basic for the author’s observation of the role of elites in the politics of the RA. For the success in communicating with the global community which will enable the citizens of the RA to adequately respond to the challenges of globalization. Under the conditions of democratic transition of the RA, there arises a necessity to re-evaluate the paradigm of the elites. The democratic transition that leads to outwardly dynamic competition puts the Armenian political elites in a «from-divided-to-mutually-agreed» marginal process. Being revolutionary in its origin, the democratic transition of the RA has been supported by «pacts» signed on mutual negative agreement by the political elites. The functioning of the political elites, in this sense, resulted in a monopolistic state, which is incompatible, according to the paradigm of the elite theory, with the model of democratic transition leading to a pluralistic state. The pluralistic state realizes its function on the basic principles of “good governance”, which pro­vides ground for mutual agreement among the economic, cultural, military, and strategic elites. In the process of globalization besides the principles of “good governance” the key role in development of pluralistic state can play J.Galtung`s “positive peace” theory, which will allow forming trust, real consensus and mutual respect among various interest groups. “Positive peace I think has I think two basic components. One is equity – cooperation for mutual and equal benefit… and the second component is harmony inside you” [Galtung J., 2012]. Thus in terms of globalization only development and promotion of positive peace culture based on inner harmony can provide democratic transition. Un­der the conditions of democratic transition of the RA, it is necessary to harmonize the following principles of recruiting the political elites. First, there must be harmonization of social orientations by the elites through which, by taking into consideration anthropological, professional, and social differences, favorable conditions are created to establish consolidated democracy. Second, there must be consideration given to the civilization about the characteristics of the elites’ recruiting and essence that are conditioned by the social memory, political consciousness, culture of the society, and the value system. The relationship between the elites’ ruling and opposition groups must be established. As the main actors of a political process, political elites, through exercising considerable power in government, are crucial in meeting the strategic demands of the society in a timely manner. Political elites are not arbitrary. They are supreme realizers of the rights and responsibilities defined for certain period of time. There are various types of elites having the status of actors in the process of democratic transition of the RA with democratic, meritocratic, and polyarchic characteristics. Polyarchy is a necessary condition for establishing a democracy, as it needs «wide-range institutes» and a realistic «political agenda.» Polyarchy should contribute to the increase in plurality of democratic values and ideals [Coppedge M.and Reinicke W.H.. 1990]. Under the conditions of democratic transition of the RA, political nets are decisive in the process of studying interrelations between civil society and the state, political elites, and various lobby groups. The conditions of democratic transition in the establishment of civil, political, and constitutional culture, suggest the existence of political elites seeking legitimacy, in attempt to introduce polyarchic values into public’s consciousness during the transformation process of the political system [Munck G. L., Left C. S. 1999]. The existence of democratic political culture in the RA will make it possible to keep the political system away from diverse concussions, because of the revolutionary, corrupt, and marginal atmosphere that contribute neither to civil, social, nor cultural dialogue. The democratic transitional process in the RA has brought about crises in terms of political development that has taken a threatening turn. Because of the ethno-political conflict, conditioned by the supremacy of the Nagorno-Karabakh issue, a bi-vector environment has come into existence. As an actor of ethno-political conflict process, the RA keeps on obeying the «game rules» in bi-vector stage, and is simultaneously drawn into the sphere of both socio-political and inter-ethnic conflicts which was penetrating into different levels of the democratization process. The formation of the nation-state, socio-economic classes, and ethno-cultural development and government structures was conditioned. These factors, presuming certain behavioral patterns, have become risky for the existence of the society, state, and individuals. During the process of democratization, the supremacy of one of the actors and the reign of informal institutions, in addition to the rising «cooperation of elites», has promoted the formation of a hybrid and unstable political administration in the RA. The «elites’ cooperation» that rests upon formal institutions, or upon those that were formed under the conditions of balance of plurality actors were forced to create preconditions for democratization of the political system. It`s another place where J.Galtung`s above mentioned “positive peace” should be exercised to establish real cooperation, free of traumas as part of negative peace and impediment for the cooperation. He writes: “Thus, there seems to be a general feeling that the idea of peace also contains an element of contact and cooperation. It is not only the absence of negative interaction, it also implies the presence of an element of positive interaction”[Galtung J. 1967]. Under the conditions of democratic transition of the RA the activities of the political elites are two-layered. They consist of thinking (intellectual-strategic) and executing (administrative-bureaucratic) groups. Political governments, which are characteristic of democratic transition, periodically appear indefinitely. No matter which route the nation takes, national security and the stable development of the RA government sys­tem require the establishment of a professional and politically neutral bureaucratic system. The in­dependent activity of the latter suggests the existence of completely independent legal sphere. This in­de­pendent legal sphere dictated separation of government branches by the RA Constitution by redefining the existing laws on civil service, on social and political organization elections code, and other normative acts. c) Opportunity to acquire socio-political phenomena is complex. In contrast to the mythological way of thinking, where the world is value-systemized in power-relations that reveal complex essence of the tribe, the RA political culture is characterized by the «I» executing power. Under the conditions of democratic transition of the RA, politics is not separated from economic, cultural, social and personal relations. In matters of global and political activities, compromise between of elites happen, on the basis of group interests. As a result of vertical organization of political and social nets, the culture of dialogue is weakly expressed. Active political style is characteristic of the political elites in which innovations are forced upon the society in general. The active role of the government, with forced integration of various groups, is explained through the incomplete social and political polarization of the society. Government organizes integration of various substrates of the political process, by imposing definite values and standards upon their political activity, that creating various social problems. During the «government-society» correlation, political initiative belongs to the state, as it concentrates in the hands of various resources to continually possess and exercise power. The absence of differentiation of political roles and the functions of institutions of state power result in anonymity, in the decision-making process. Concentration of excessive resources in the hands of the ruling elites compels the opposition to act not as political opponents but as revolutionary movements. Rigid confrontation of the ruling elite and opposition is a result of the elites’ cultural-political multi-element composition, because their various groups are orientated to different values. Ideological confrontation, which is accompanied by economic confrontation, is conditioned by the crystallization process of interests. It is evident that the conditions are yet to form civil society in which the cultural-ideological motive is absent, and the dialogue between the ruling elite and opposition are carried out on an often emotional and symbolic basis. The elites’ strive to control the political process heightened the oppositions’ desire to use radical means to make the ruling elites recognize and legitimatized the opposition, and to take their opinion into consideration in the political process. 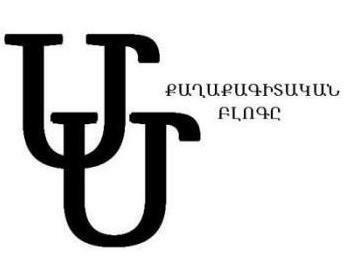 Moreover, as a result of the rupture of traditional social, personal, and group ties, the existing and expanding marginalization in the Armenian society contributes to intensify the emotional and symbolic factors in the political discourse. The predominance of these factors makes the enforcement of rational decisions more difficult as it is pushed to the back stage [Field L., Higley J. and Burton M. 1990]. This explains the weak dynamics of reforms and the lots efficiency of realization of already made political decisions in the process of democratic transition. Given these features of democratic transition of the RA, it has become obvious that the external Armenian problem of «running modernization» is accompanied by «parallel» archaisation. This is a phenomenon of modernization, during which its realizations awakens the long-forgotten, but in fact deep-rooted and «daring» traditional value layers in the fields of ideology. Under the conditions of democratic transition of the RA, liberation is non-harmonious and a number of structural cracks have appeared in the Republic. Social polarizations, rivalry of generations, intolerance, and marginality have become a way of life. On the warp of partial democratization, development of tendencies of traditional values had left marks in the political landscape. A western model of social behavior is expressed in such values. Private ownership, rule of law for those alienated from social reality, rights for marginal populations remain abstract notions. For these models to fully work, other conditions, such as an individual’s energetic-active orientation, psychology of realistic optimism, and entrepreneurial-initiative traditions must be in existence in the RA. Hence, the problem of psychological and moral legal succession remains. Democratic transition is often moved forward not as a natural course in the development of the nation, but dictated by foreign influence or changing global events. 3) The young, who are capable of acquiring new values that are realistic towards future, and are inclined to take additional responsibilities in future administrations. to strengthen democratic institutions, A form a pluralistic society where political processes are a manifestation of correlation of organized groups’ interests, not coercion. Democratic transition of the RA, as a political process, is double-faced. It is characterized by the expansion of participation of social groups and individuals and the way of thinking of the political elites. “Citizens’ participation” is a fashionable political concept, but one that increasingly means all things to all people. It is time to reclaim ‘participation’ from those who would use it simply to legitimize existing political institutions. We should work, instead, at the boundaries of those institutions, creating spaces of political autonomy that interact with, challenge and ultimately transform them in the interests of all social groups, as well as will increase the interest of these social groups to be included in the elite. We are convinced that implementation of such a model of democratization in countries in transit will lead to synarchy, which means that elites improve their responsibility in governan­ce. This in turn fosters the establishment of the principles of “good governance” in Armenia. At the same time synarchy will raise the quality of democracy. We agree with G.L.Munck, who thinks that “conceptualizations of the quality of democracy are still far from providing a well-founded and widely accepted basis for identifying a distinct subject matter. More work is needed to elucidate the concept of quality of democracy” [Munck Gerardo L. 2014]. Moreover we share his approach to distinguish two core levels of quality of democracy: “1. What is the sense of the quality of democracy, that is, what is the content of the construct? 2. What is the reference of the quality of democracy, that is, what objects are referred to by the construct?” [Munck Gerardo L. 2014]. Democratic transit can succeed only in case of simultaneous implementation of these two levels. Form an effective system of local self-movement. Effectiveness of democratic transition of the RA is conditioned by the scientific argumentation of the process, as well as the professionalism of the political elites. 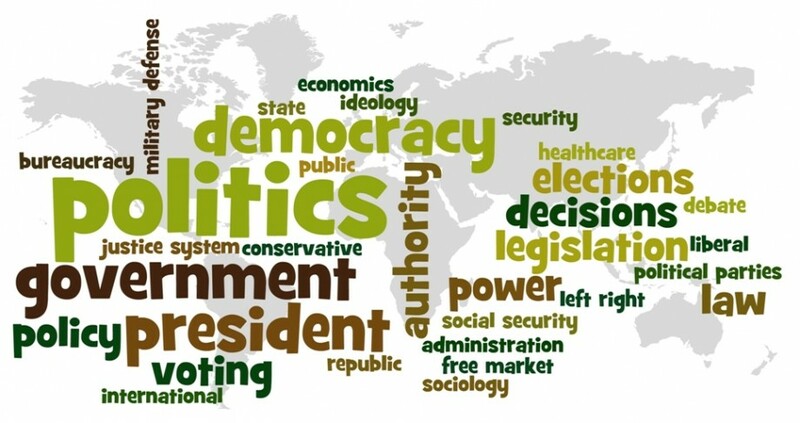 It is suggested that democratization process, renouncing the paradigm of «right and wrong» must rely on the practical suggestions and recommendations that are developed concerning scientific comprehension and analyses, theoretical conceptions, formed ideas and experiences from the political processes of countries that have developed or are still developing. Scientific argumentation of democratic transition in all stages of reforms is very important for the strength of political and constitutional culture as well as the existence of civic education. Scientific expertise by corresponding scientific institutions (e.g. 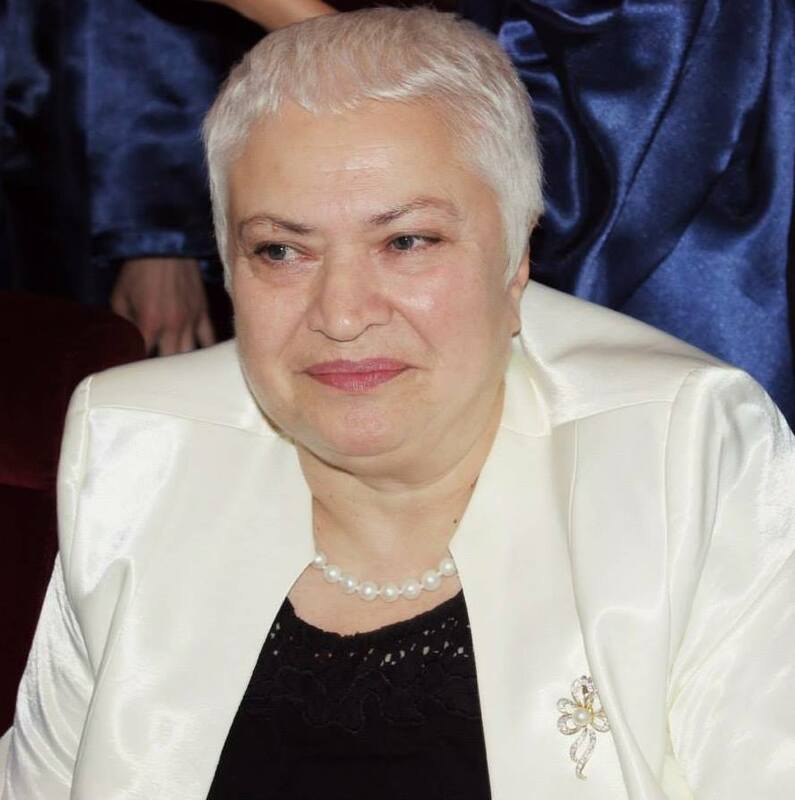 Department of International Relations of Yerevan State University, Department of Political Science of Russian-Armenian (Slavic) University, and Public Ad­mi­nistration Academy of the RA) and individual scientists are very important for reforms that are carried out. e) Parliamentary, social and constitutional control to have control over the activity of political elites. American scientist L.Diamond pay attention to the followng: “In the burgeoning theoretical and empirical literature on democratization, few issues are more central and diffuse than the question of elite versus mass influence. Is it elites who make, shape, and consolidate democracy? Or does the public matter? If so, how, when, and to what degree?” [L. Diamond, 1997]. At the same time L.Diamond in his article discusses the problems, leading to democratic recession in the world, underlining that the world has been in a mild but protracted democratic recession since about 2006 [L. Diamond, 2015]. In this regard I think that the key component to overcome democratic recession is the “humanization” and turning the face and concentrating on people-centric security. Meantime this presume shift from elective democracy to participation democracy. This will allow active participation of civil society in decision-making processes fostering choice of the most optimal alternatives. In that case we will witness transition to qualitatively new level of democracy – demarchy. Initially Australian philosopher John Burnheim has invented the term «demarchy» to describe a political system without the state or bureaucracies, and based instead on randomly selected groups of decision makers [Martin B., 1992, Burnheim J., 2006]. However my approach to define demarchy is a bit different, and includes state or bureaucracies as the main institutes to organize the public life. On the other hand demarchy allows and make it possible for interest groups to participate in decision-making process regarding to public interest, permuting their group interests with general public interests. The point is in the process of democratic transition it`s necessary to widen the social area of elite, forming strategic meritocratic elite, as an imperative to respond to the challenges and threats of globalized world. In this context specific importance receives the concept of Human security as the necessity to secure the most vulnerable element of globalized word – human. Our perception of this notion is based on the “Resolution adopted by the General Assembly (2005 World Summit Outcome)”, which defines to levels of R2P. The first one is the national level. In this regard in Article 138 the Resolution mentions that “Each individual State has the responsibility to protect its populations from genocide, war crimes, ethnic cleansing and crimes against humanity” [UN Resolution, 2005]. The next level is international: “The international community, through the United Nations, also has the responsibility to use appropriate diplomatic, humanitarian and other peaceful means, in accordance with Chapters VI and VIII of the Charter, to help to protect populations from genocide, war crimes, ethnic cleansing and crimes against humanity” (Article 139) [UN Resolution, 2005]. Based on the concept of R2P we think that new strategic elite has to implement the idea and value system of the human security of third generation. Political activity, as a complex, multidimensional phenomenon, bears on itself the influence of various needs of the society. It is humanized when the society and each of its members consciously form the mentality that the rules of behavior are not causal and situational, but they contribute to socially coexistence through their objective and subjective nature. The objective factors of the political activities in the society are already confirmed. Working social-economic, legal, inter-state and international systems are needs that arise from the objective factors. They are subject to legal regulation that has a decisive influence on the political process, and on the resulting political elites’ activities. Subjective factors of political activity are definite manifestations of the political elites, conditioned by conscious, volitional and moral-psychological nature that are revealed in the political process, and have influence on political administration. Thus, it may be concluded that the decision-making process is influenced by objective, as well as subjective factors which, being in constant dialectical and correlative state, appear as a systemized entity. Political elites may have «good governance» if they ensure the implementation of an effective political system, in the sphere of regulation of social relations. On the other hand there is necessity to shift from elective democracy to participation democracy, as well as humanization of political system, making it human-centric. In this regard it`s necessary to develop demarchy, permuting group interests with broad public interest. The Republic of Armenia should respond to the challenges of globalization and integrate into the democratic text of global political development. Obviously the model of this development will be neither completely western-liberal, nor eastern (corporative-paternalistic). It should be both at the same time. Otherwise, it will be Armenian. That is, a political system that is synthetic, which will give opportunity, by harmonizing with the processes of globalization, to maintain the essence and distinctness of the national value system. The process of democratic transit-consolidation in the Republic of Armenia raises the necessity to research both all the forms of political elite theory and measures to provide effectiveness of their power. In this context it’s necessary to develop research of political elites in the areas of political sociology, political psychology and anthropology. This will allow comprehensively revealing the actors of power structure for identifying which groups are élite and which are not. These issues are essential as there is an imperative to make a shift from electoral democracy to participation democracy in the Republic of Armenia. Moreover, we are convinced that this approach is specific not only for Armenia, but also for the whole post-soviet area. Participation democracy will enlarge the social area of political power. This in turn will allow not only institutionally establish the principles of “good governance”, but also to improve the consciousness of electorate and be flexible towards the changes of social reality, reducing possibilities of social instability and “color” revolutions.